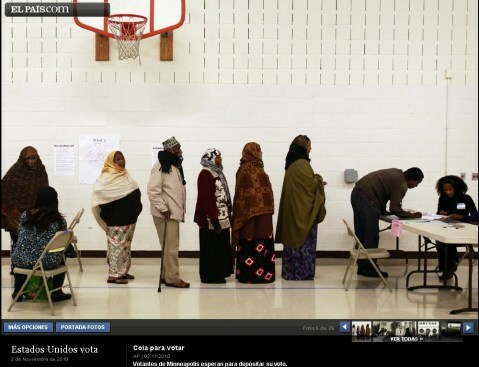 COLUMBUS, Ohio — Two volunteer poll workers at an Ohio voting station observed van loads of Ohio residents born in Somalia — the state is home to the second-largest Somali population in the United States — being driven to the voting station and guided by Democratic interpreters on the voting process. No Republican interpreters were there. HUMAN EVENTS (H/T Rob E) A source, who wishes to remain anonymous, is a volunteer outside the Morse Road polling center. She has witnessed Somalis who cannot speak English come to the polling center. They are brought in groups, by van or bus. The Democrats hand them a slate card and say, “vote Brown all the way down.” Given that Sherrod Brown is the incumbent Democrat Senator in Ohio, one can assume that this is the reference. 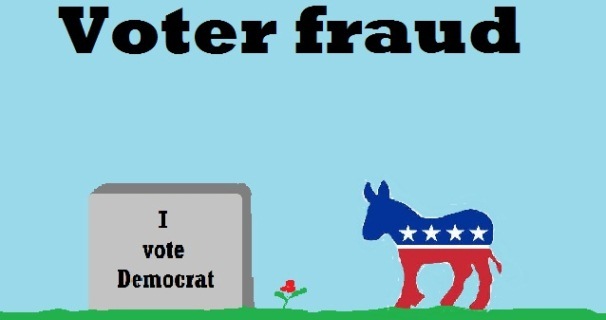 Another source who also wishes to remain anonymous has seen Democrat interpreters show the non-English speaking Somalis how to vote the Democrat slate that they were handed outside. According to this second source, there are not any Republican Somali interpreters available. The logical follow-up question is whether a non-English speaking person is an American citizen. Although Republican leadership in Ohio passed a voting reform law, it was repealed by the legislature itself after the Democrats threatened a referendum. According to the Ohio Secretary of State’s web site, someone wanting to vote early in Ohio must supply one of the following in writing on the absentee ballot form, whether voting early by mail or in person: an Ohio driver’s license number; the last four digits of the social security number; or a copy of a current and valid photo identification, military identification, or a current — within the last 12 months — utility bill, including cell phone bill, bank statement, government check, paycheck, or other government document that shows the person’s name and address in addition to the voter registration acknowledgement. The voter is not required to show the driver’s license or social security card, but must merely write it on the absentee ballot request form. While the individual would be required to show a utility bill, bank statement or other printed document if he or she chooses that option, this is in lieu of writing the driver’s license or social security number. Therefore, the information cannot be checked against the Bureau of Motor Vehicles or other state databases. Essentially, a person is asked to check a box stating that they are a citizen, and the poll worker is to trust that they are the person who is listed on the item being shown or the information being written. In other words, someone can be an illegal resident of the state of Ohio and the United States, get an apartment, turn on the heat, bring in the Columbia Gas bill, register to vote by the deadline, and vote by showing that same bill. There is then no verification that this individual is a citizen of the United States.